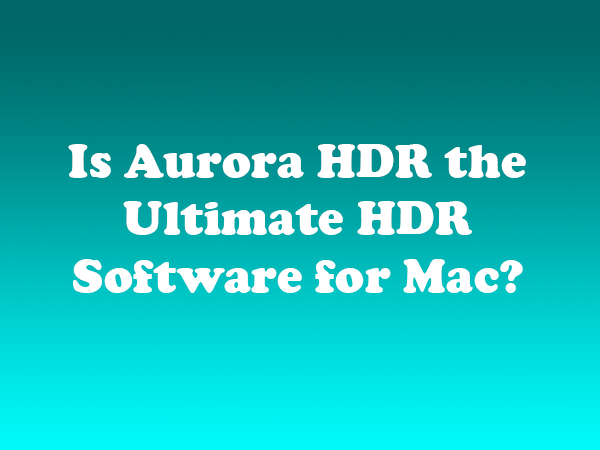 Is Aurora HDR the Ultimate HDR Software for Mac? In November, Trey Ratcliff and Macphun introduced Aurora HDR Pro software. After a few short weeks, photographers are already calling the app the “ultimate” HDR software for Mac users. So what’s all the hype about? The app is designed to help photographers combine multiple exposures into “high dynamic range” (HDR) images. Macphun, which is known for its award-winning Mac photo software, teamed up with renowned HDR photographer Trey Ratcliff, to come up with what they call “the most advanced HDR software in the world.” So far, the reviewers largely agree. According to PetaPixel: “The tool is designed to be both easy-to-use and powerful — a single end-to-end solution for creating HDR photos that lets you drop other programs from your workflow.” In its review, Digital Photography Review noted that the app is also useful for photographers that don’t like their HDR photos to be over-the-top. “The software can be used to create very moderate and natural looking images as well as the more extreme tones and colors most people readily associate with HDR,” the article notes. Based on feedback from the thousands of early adopters, Macphun has already released a version 1.1.0 update. The update adds a number of new features and improves several existing one, with many of the enhancements suggested by users. Aurora HDR is now available for $39.99 in the Mac App Store. The “Pro” version, which includes additional tools and features, is $99. For PC users, a similar app is in the pipeline, but no scheduled release date is set. Once you have downloaded the app, Trey has posted a free HDR Tutorial for Macs that guides users through the basics. You can also purchase a full-length HDR Video tutorial that addresses everything the software has to offer. What is the Law for Drones?